Local Tallahassee activists have proposed $9.5 million in budget cuts and savings after city commissioners agreed to consider a 23% increase in property taxes justified to fund additional police officers. 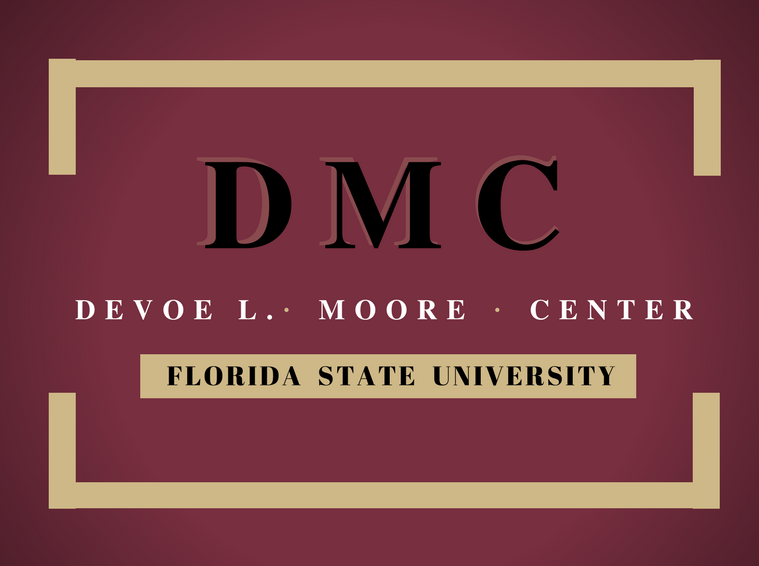 Last week, commissioners reduced the increase to 13%, but many, including the editors of the Tallahassee Democrat, are not convinced that even this modest increase is necessary. The details of the 14-point plan along with full coverage of the proposal can be found at Tallahassee Reports, a newspaper that serves as a local government watchdog. Citizens for Responsible Spending, the architect of the spending and savings plan, is an umbrella group formerly known as the Budget Hawks. The new group attempts to do what city staff have been reluctant to: find modest savings in other parts of the city budget to stave off a property tax increase. Florida TaxWatch CEO Dominic Calabro argued at a press conference announcing the proposal that a 23% increase in property tax simply isn’t justified when inflation is increasing at 1% per year and the city’s population isn’t growing significantly. While $9.5 million might seem like a lot of money to cut or shift around, the proposed savings are modest in the context of a $685.8 million (proposed) annual operating budget. As Calabro said: “This is easy.” In fact, I learned as budget analyst and executive in several think tanks that finding savings in some areas to boost more important initiatives comes with the job. As a rule of thumb I realized that as a practical matter almost any cut of up to 10% could be managed without realigning strategic priorities. 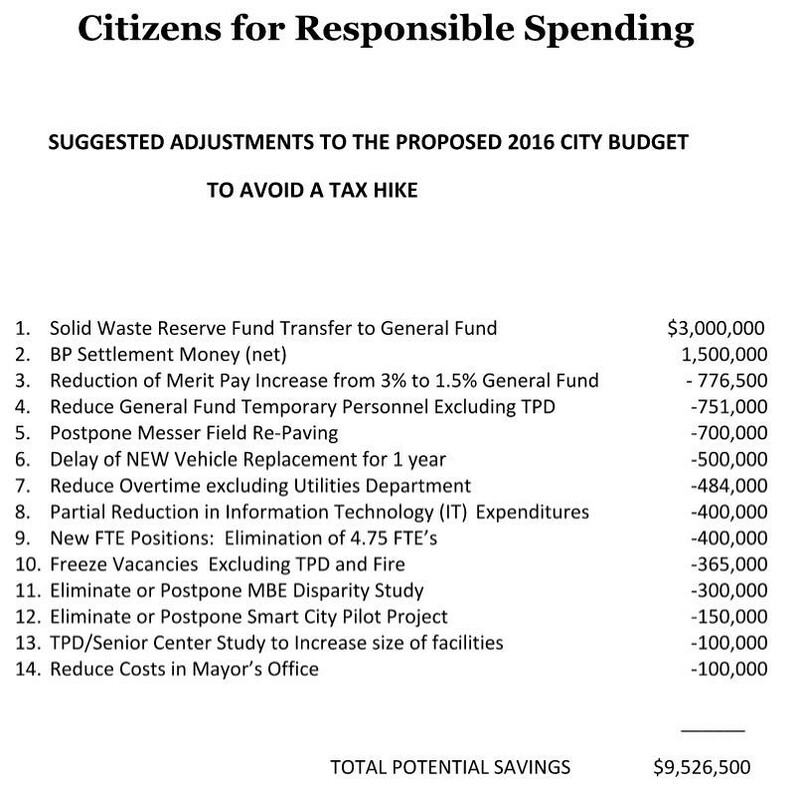 The savings proposed by Citizens for Responsible Spending amount to less than 1.5% of the city’s operating budget. The fact city staff are balking at 1.5% is an indicator that they haven’t thoroughly examined their own priorities and spending patterns. The city is justifying higher property taxes on the addition of 18 new police positions. This presumes that nothing else in the budget can be rearranged, priorities shifted, or lower valued programs and initiatives cut. However, the citizens group, which consists of lay people (non-experts), suggested cutting four unfilled full-time equivalent staff in non-essential departments that could provide budgetary savings $400,000. Better management to reduce overtime, they said, could save another $484,000. These types of savings could be identified by city staff if they used zero-based budgeting, a process that ensures programs, initiatives, and spending are held accountable to the city’s mission and produces measurable results and outcomes. In the most pure form, this process has staff start with no allocation–a zero base–and build their budget based on performance, mission appropriateness, and value added. The idea that 100% of Tallahassee’s current budget is performing at levels where 1.4% can’t be reallocated to fund new police officers does not pass the common sense test, and is certainly inconsistent with what most budget analysts experience. If the city budget truly is this tight, zero-based budgeting would provide the evidence that the increase is justified based on productivity and impact. It would also give citizens the confidence they need to know city officials are taking their concerns seriously. The proposals put forth by Citizens for Responsible Spending are very modest, even inconsequential from a budgetary perspective. In presenting their proposal, however, concerned citizens have helped uncover systemic flaws in the City of Tallahassee budgets for spending and programs. The task for the city is to use this public flap to begin the more earnest task of reforming the budget process. Do we really need to increase property taxes for a few more police officers? We can’t cut some excess spending elsewhere to make room for extra law enforcement. Reblogged this on Budget Hawks.